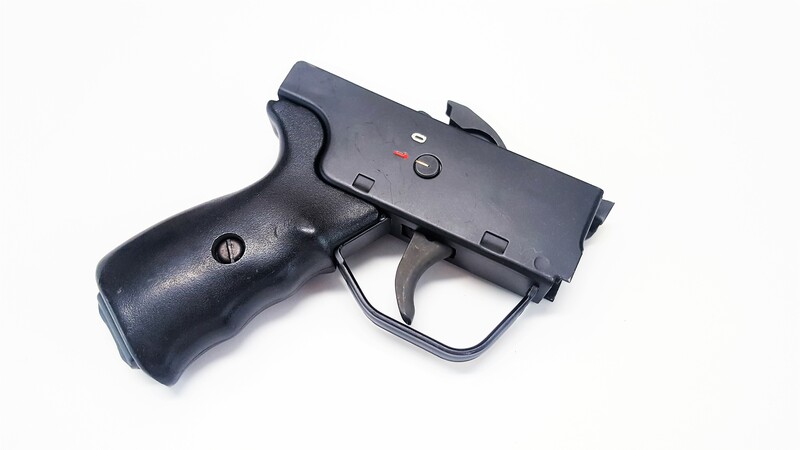 Factory German HK SP89 / MP5K Factory 9mm Semi Auto Metal Lower with excellent condition housing, and good condition grip. Factory German HK housing in excellent condition with black grip and SEF pack converted to semi auto with German HK 9mm ejector lever. 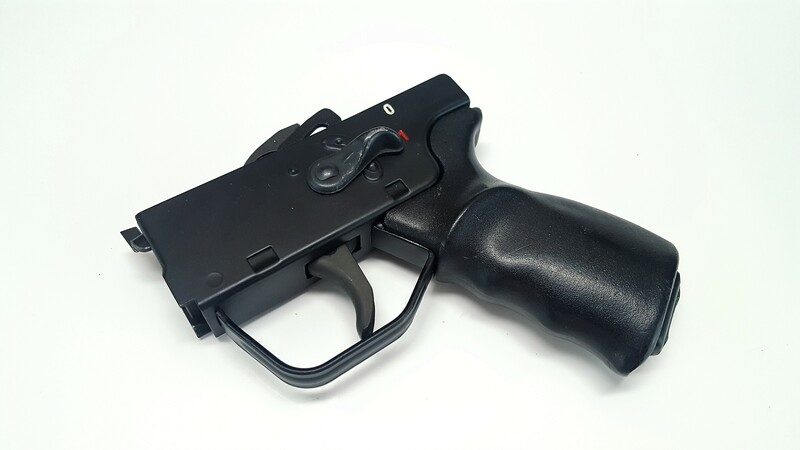 *This housing requires modification to work with the HK SP5K as it has a different shelf than standard HK type semi shelves.